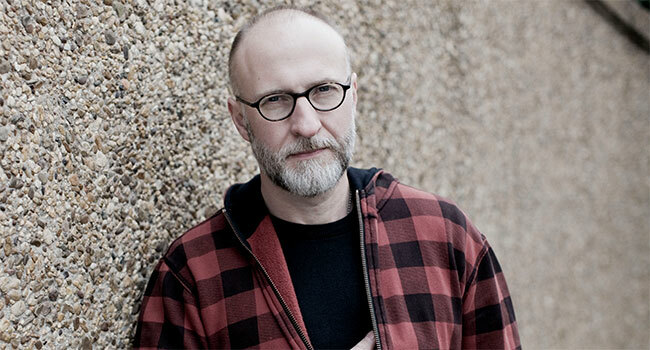 Bob Mould is set to release his latest full-length solo album Sunshine Rock on Merge Records on February 8th. The album, which features the recently released tracks “What Do You Want Me To Do” and the title track, is his most radiant music selection to date. Most of the optimism found in the music is due to his time as a resident of Berlin, Germany, where he’s spent the majority of the last three years. As a result, Mould offers fans the rare opportunity to understand his deep connection to the city with a documentary style video titled Berlin. “In Berlin, you can be whoever you want,” Mould expresses in the video. He describes all of the varying personalities he can entertain within just one day due to the colorfulness of a city that he finds so alluring. Mould goes on to share memories of touring Germany in the 1980’s, his favorite three hour acoustic solo performance there at a church in 1991, his love for the gay community and the legacy of the original punk scene of Schöneberg (the Kiez in which he resides), as well as other personal anecdotes of daily routines and rituals that are always key to his creative process. “After three years, I still feel like I’m scratching at the surface of it all,” he shares. The Berlin video was created by filmmaker/editor Mario Bergmann, and director/visual artist Philipp Virus, of Virus Films GbR, who has worked with such bands as Atari Teenage Riot, Dinosaur Jr., Sonic Youth, Iggy Pop, etc., and whose work has been showcased at The Museum of Modern Art in New York. Unlike any time before, with Sunshine Rock, Mould has allowed the public to see him in a more intimate light, welcoming cameras to capture his creative process with the Sunshine Rock Studio Session in a behind-the-scenes video and now with the Berlin video. In these videos, Mould breaks down the wall between a rockstar and his fans, instead sharing details of his life and work in a way that’s like catching up with a dear friend. Mould also announces the Sunshine Rock signature pedal in partnership with Tym Guitars. The pedal will commemorate the project with a limited selection of 40 pedals for the cost of $225 each. These handcrafted pedals are similar to the stomp boxes made previously for Mould’s albums Beauty & Ruin and Patch The Sky, but with new artwork to celebrate Sunshine Rock. The custom made stainless steel enclosure has typical volume and gain controls with a yellow LED, true bypass switching, and is powered by a standard 9V adaptor jack. Mould has also announced that he will play a benefit concert for the Hi, How Are You (HHAY) Project on HHAY Day, January 22nd at the Moody Theater in Texas for Austin City Limits Live. The project’s goal is to educate people worldwide about the importance of mental health and well being while promoting a culture of inclusion. The concert will also feature performances by The Flaming Lips, Built To Spill, Yo La Tengo, The Black Angels, Gavin DeGraw, The Moth & The Flame, and Bob Schneider. He then begins his headline tour spanning North America and Europe through the spring on Valentine’s Day, February 14th.